Properly protecting your equipment and assets, from power failure, can make or break an operation. Our range of Uninterruptible Power Supplies prioritises the protection and longevity of your devices. If you require further information on our Uninterruptible Power Supplies, contact us here. 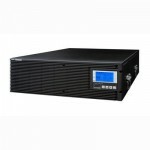 Uninterruptible Power Supplies There are 3 products.